In an appointment a few weeks ago, Mark Denzler sat down with one of our key accounts to review the farm’s results from 2017. The 2017 spring was pretty brutal in many eastern Indiana counties. This particular farm had a rough start, but yields were good at harvest. In fact, many fields in our counties posted record yields in 2017. In spite of a lot of bushels, profit on this farm was hard to find in 2017. Concluding his seed appointment, Mark volunteered me to be an extra set of eyes on this farm’s 2018 cropping plan that was beginning to take shape. My background includes Ag Chem in addition to my seed training. I was happy to assist. I know this is the time of year most farmers are in their offices finalizing their 2018 cropping plans. As we all look at our 2017 results and do our 2018 planning, margins look a little thin. Let’s all find some profit in 2018! My recommendation to farms looking at thinner margins is to first pick a chemistry system that best fits the management on your farm. Weed pressure, equipment, and time all vary between farms. 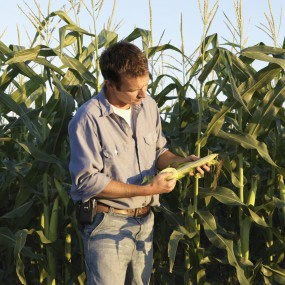 Pick the best system for your farm, whether that be a Traited Corn or a Conventional Corn program. Your soybean seed choices this season include Xtend, R2Y, Liberty, or Glyphosate tolerant programs. Keep in mind that the lowest dollar per bag for seed may not lead to the most profit per acre. The second step for all of us is to remember the basics: seed genetics, crop fertility, and weed control. We are potentially looking at corn south of $4.00 and soybeans under $9.00 at harvest. We must manage the basics successfully in 2018 to find profit. This month, if you haven’t already done so, break out your yield maps. Review your harvest records. Yield replacement is a great strategy for fertilizing crops. Put your plant fertility only where you need it. This is not the year to be building soil test levels when we have historically low margins. Instead of building levels, use your yield maps for replacement fertilization or plan straight rate fertilizer for crop removal. The past few seasons, fungicide has paid off for most of our area farms. However, I do not recommend a blanket approach. I do not recommend applying fungicide on non-scouted fields given today’s low commodity prices. There is no doubt that fungicide pays big when it is needed; however, if disease is not present, the expense is break even at best. Insecticide falls into the same category. Scout your fields before you spend the money. 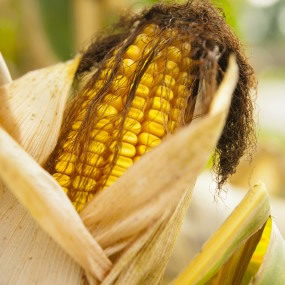 Nitrogen is the last critical element for corn production. The fact of the matter is that corn simply does not care whether it is Anhydrous, 28% or urea. Compare for the best fit for your management and cost. If you are going to cut Nitrogen rates (not my recommendation), put as much on side-dress as late as feasibly possible for your operation. This is what happened on the farm Mark and I worked with this past week. I gave the farm some homework to do. He researched all his input costs and investigated some other chemistry options. He found some price discrepancies between his primary Ag Chem supplier, but more importantly, with more pricing information on various chemistry’s, found some tremendous savings. His 2018 crop plan was tweaked with the recommendations I have noted here. His bottom line savings was $30,000 on his crop plan. We sell seed. More importantly, our goal is to help farms build a profitable crop for 2018. We don’t sell crop protection, chemistry, or crop nutrition. For our customers, we are happy to be a 3rd party independent set of eyes as you sort through your crop plan for 2018. We truly do want you to find the profit you need in 2018. Feel free to contact me if I can assist your farm.